International Art Contest: We need students to enter this great contest. The following is the final report of Mars Desert Research StationCrew 173 (Team Prima, a multi-national team of scientists and researchers). A complete review of this year’s MDRS activities will be presented at the 20th Annual International Mars Society Convention, to be held September 7-10, 2017 at the University of California Irvine. The call for papers for the conference will be posted soon at: www.marssociety.org. Team PRIMA is made up of highly qualified scientists, engineers, artists and leadership experts from all over the world. We all first met during the International Space University (ISU)’s Space Studies Program. The crew was successful in undertaking a wide range of research projects and outreach activities at the Mars Desert Research Station (MDRS) during their mission there, detailed below. One of the keys to the smooth running of the mission and projects were great group dynamics, and the multicultural atmosphere the crew nurtured. Amongst other things, we regularly organized “culture nights”, in ISU’s spirit, during which the different international traditions and cuisines of the crew members were presented. Another thing, which bonded the whole crew, was our passion for reaching out to the public and inspiring others to pursue their dreams, just like the crew is doing. They believe this mission alone helped raise the awareness about the importance of the space sector in all of the crew members’ countries. The aim of this project was to develop and test 3d printed blocks, which can be used to build multifunctional buildings on Mars. The shape of the blocks was optimized to withstand different types of heavy loads, contain water (for daily use by astronauts) and to provide extra-radiation shielding for the astronauts. Furthermore, the idea was to use in situ resources to make the blocks, therefore minimizing the amount of material that would need to be transported to Mars. The first week at MDRS, we encountered several issues with the 3D printer present here (including the cold temperatures at night for example), which didn’t allow us to print bricks but we managed to print 5 bricks over the last few days. Every brick took 17h on average to print. The outer shell of the brick was printed using PLA filament (plastic). 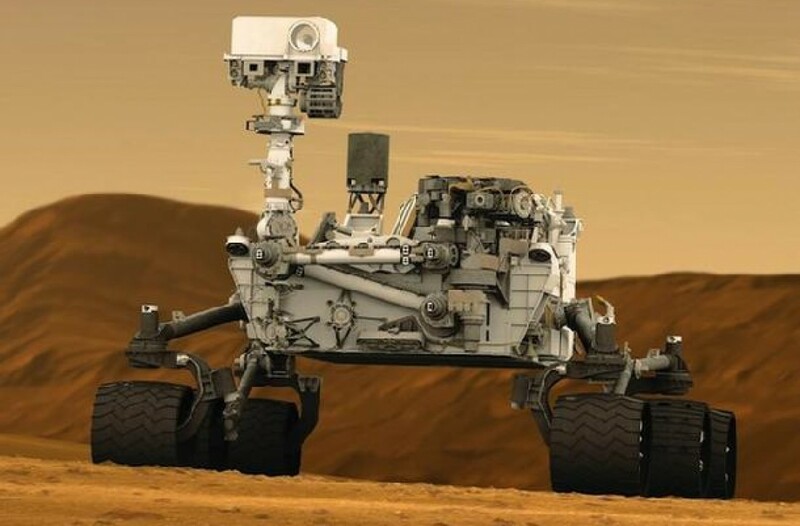 For future studies, we suggest laser sintering technology to simulate 3D printing using Martian soil. The printed blocks are, however, a great success as the interlocking system was fully functional. With the crew geologist Roy Naor we evaluated the different types of soil that can be used within the brick to strengthen it. Filling the blocks with appropriate soil was also successful and the process was fairly easy (less than 1min per block). We then built a small structure at MDRS during an EVA, in order to prepare for the next iteration of the proof of concept. The temperature fluctuation was measured across the day, from a range of locations: inside the GreenHab, inside on the ground floor of the main Hab, outside, and, inside the grow tent (which was initially located within the GreenHab). Due to the extremely high temperatures in the growth tent (50◦C ~120◦F), the grow tent was moved to the lower level of the main Hab. With the grow tent inside the main Hab, its temperature hardly fluctuated at all. With ~65% humidity, it now represents an ideal seed germination area. The GreenHab still gets quite hot during the day, getting to ~40◦C (~105◦F), but with no wind and regular watering, the plants thrive. Similarly, with a working heater, the night- time temperatures now only get as low as ~17◦C (~63◦F), which is a perfectly adequate temperature to keep edible plants happy. This involved two similar experiments designed by universities in the Czech Republic, and brought by the crew commander, Michaela Musilova. The first was a corn experiment, designed by researchers at the Masaryk University, to be used as a base line for a future experiment testing the effects of heavy metals on the growth of corn. The experiment at the MDRS involved measuring the height of corn seedlings each day as well as recording the number of leaves each plant had. The second experiment saw six different crops sown in pots with seed densities ranging from 1 to 12 seeds per 4 cm2. Some seedlings have already sprouted but it is still too early to gather meaningful results. This experiment is to be followed up by researchers at Mendel University. Both projects are to be continued by future crews at MDRS – we will leave them appropriate instructions for this. Hopefully, in this way, we will be able to engage multiple crews in this international project. This experiment was borne of the need for more soil to grow plants in. Samples of soil were collected from geological locations in the surroundings of MDRS. These samples were tested for their pH, as well as salinity. With kitchen and garden scraps forming compost, this could improve the regolith to the point it could be used to grow more crops in the future. Hopefully, this could reduce dependence on outside sources to bring in more potting mix, and more fully recreate a Martian simulation. Unfortunately, the instruments to measure pH and salinity at the MDRS were insufficient for this, and thus this experiment warrants further investigation. The potential of extraterrestrial life on Mars is well connected to the history, and distribution of water and carbon on the planet. Carbonate minerals are seen as powerful tools with which to explore these fundamental relationships, as they are intimately tied to both the water and the inorganic carbon cycle. The carbonate analysis work at MDRS concentrated on locating and sampling carbonate minerals in the topsoil and exhumed formations in the Martian-like environment. After an initial study of the geology of the area, carbonates were sampled and tested on site, using HCl 5% to test for a reaction of the rocks with the acid. The verified assemblages were then brought back to MDRS for further testing. The sampling was performed in a very rigorous way, documented meticulously, while keeping the work analogous to what extraterrestrial field work would be like one day. The samples will be sent for analysis of the carbonates’ chemical and isotopic fingerprint at the Weizmann Institute of Science (Israel) (including crystal separation, mineral/chemical identification (XRD, EDS, CL), textural analysis (SEM, micro-CT), isotopic analysis (SIMS)). The results will be added to their datasets with the intention of publishing them in academic journals. + To raise awareness of the importance of analog missions, specifically MDRS and the opportunity for non-Space agency individuals to play their part in Human Space Exploration. We believe that we accomplished these aims: together we documented our entire experience here at MDRS using audio, video, time-lapse, 360 cameras and photography. We began by making videos pre-mission to reflect the time and effort in preparation for our mission. During mission, we captured every EVA in photography and video and conducted time lapse videos of our experiments, and daily life during our mission. We will continue to record our experience post-mission to capture further reflections about our experience at MDRS. During our mission, we shared a summary of our daily activities on social media and on blogposts in our native countries using this content. We also created short 90 second tutorial videos for school children to inspire them to consider careers in STEM, especially in the space industry, to be posted to our YouTube channel post-mission. We also worked with a number of companies, research institutions and journalists/media organizations around the world. Awareness of Mars and MDRS has most definitely been achieved, and we all return home to requests for further interviews and requests from schools to speak about our experience here. One of our outreach projects involved a challenge for high school students in Israel to design a set of small experiments for the team to conduct under simulation. They were: 1) Detecting variances in rock type near MDRS (involving sampling and examining the geological characteristics of each of the formations present here); 2) Testing the strength of the 3D printed bricks as a function of the different rock material they will be filled with (thus testing the variance in their strength properties ); and testing the effect of repetitive EVAs on the time it takes the crew to prepare for it (timing and documenting the process of putting EVA equipment on). All crew members took part in this research lead by Roy Naor. The projects yielded interesting results. For instance, there was a great improvement in the EVA preparation time (decreasing from 30 minutes to 15 minutes throughout the mission). This projects already got a lot of media coverage and the results be published in the Israeli media after the mission. Michaela Musilova organized a competition for high school and university students in Slovakia called Mission to Mars (Misia Mars), together with Slovenske Elektrarne. The aim of the competition was to motivate young people to design an experiment worthy of being taken and performed on Mars, whether real or simulated at MDRS. Students from all over Slovakia participated in the competition in 2016. The winning experiment has been brought to MDRS with Crew 173 (Figure 5). It is focused on enhancing the speed and yield of spinach growth under simulated Martian conditions. Michaela communicated regularly with her students in Slovakia, who remotely advised her on how to perform it. The experiment was very successful, as the spinach grew much faster than the spinach grown in the GreenHab. It also yielded enough leaves to treat the crew to a mini spinach salad on their last evening at MDRS. All the follow-up analyses will be performed in the students’ school in Detva, Slovakia. As per the other outreach activities, this project attracted a lot of attention from the media and was followed by many schools throughout Slovakia. A practical way of eating is the key to long-term expeditions in extreme conditions on Earth and in future long-duration missions in space. Food will have to be compact (for easy transportation), full of the most important nutrients (for maintaining good crew health and performance), but also diverse for all the different human senses. Hence, a project focusing on food for extreme conditions (nicknamed “space food”) has been prepared by the Slovak Organization for Space Activities (SOSA) and several Slovak research institutes and companies. The aim of the work at MDRS was to monitor the changes in the quality of the space food products and their nutritional content, rather than to test the products on the crew. In particular, the effects of the different extreme conditions (e.g. varying temperatures) on the food were studied for health and safety reasons. The project went very well and most of the products managed to survive the simulated Martian conditions. Further analyses will be performed at the Slovak institutes upon the return of the products to Slovakia, with the aim of publishing the data in academic publications. Future plans include using the data in the food industry, and preparing products for athletes and even the military, even one day for the space sector. For further information about the Mars Society, please visit our website at www.marssociety.org.